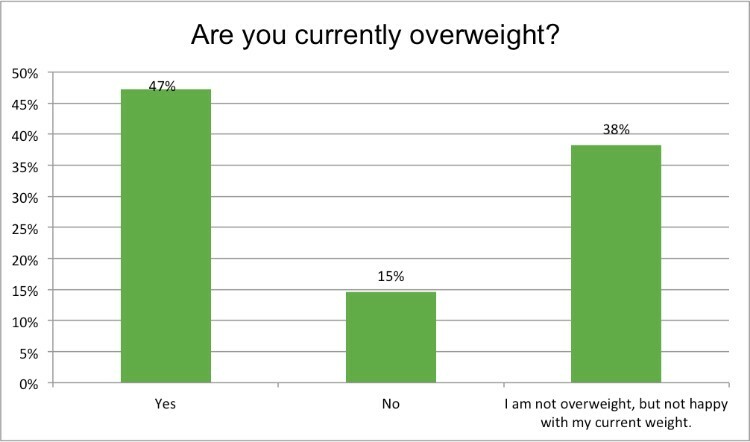 96% of our respondents were female; of which 47% are overweight, and a further 38% are not overweight, but unhappy with their current weight. 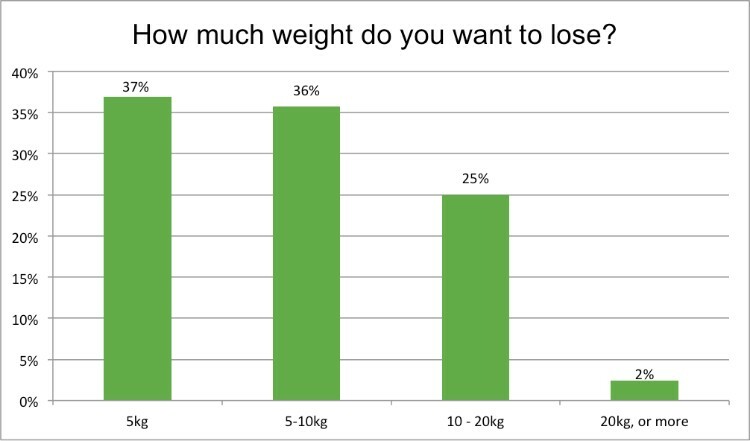 70% of respondents would like to lose between 0-5, and 5-10kg, with only 25% needing to lose between 10 – 20kg (the more dangerous amount of excess body tissue which could result in health issues). 1) 19% at “I enjoy food and love to eat”… we can’t blame you, who does not?! 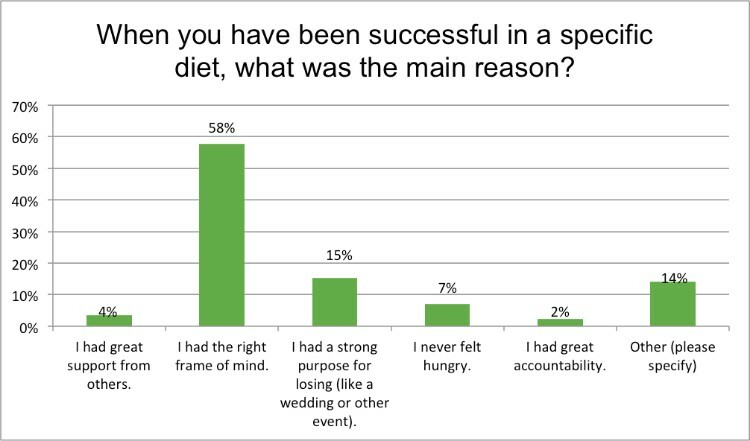 2) 15% at “I do not follow a healthy, balanced diet”. Here we can help you with advice on healthy choices, supplements to support your body and our medical weight loss program. 3) 13% at “Food is one of my main sources of pleasure and distraction”. Emotional eating can be a great concern and healthy habits need to be created to avoid finding refuge in food, which can lead to unhealthy weight gain, and excess body fat. The most popular method for weight loss has been the Banting Diet, followed by Weigh-Less. At Renewal Institute we offer the Body Renewal Medical Weight Loss Program, which is based on the HCG daily injections with a calorie restricted eating plan. This program offers a safe, effective and medically controlled diet that delivers results, fast! 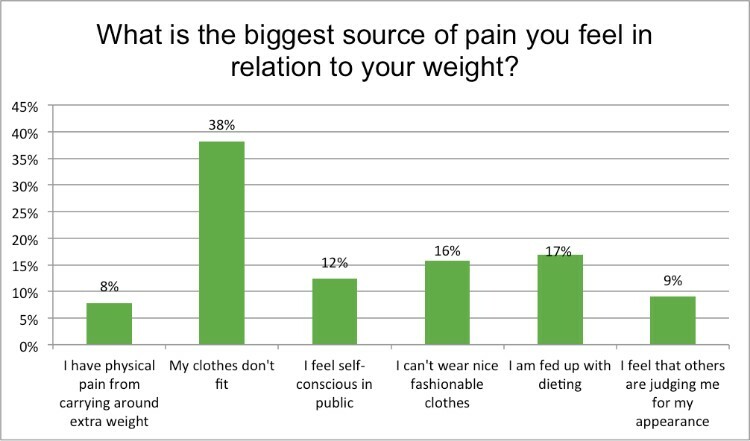 -At 38% of respondents answers, the biggest source of pain regarding their weight is the fact that “their clothes don’t fit”. 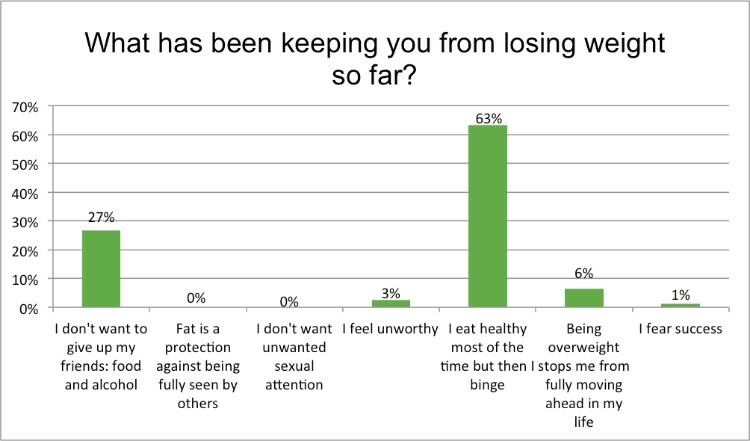 This is followed by a further 17% “being fed up with dieting” and feeling they can’t wear nice, fashionable clothing. -The main reason, at 47%, for wanting to lose weight is to become healthier and then to maintain that new state of health. 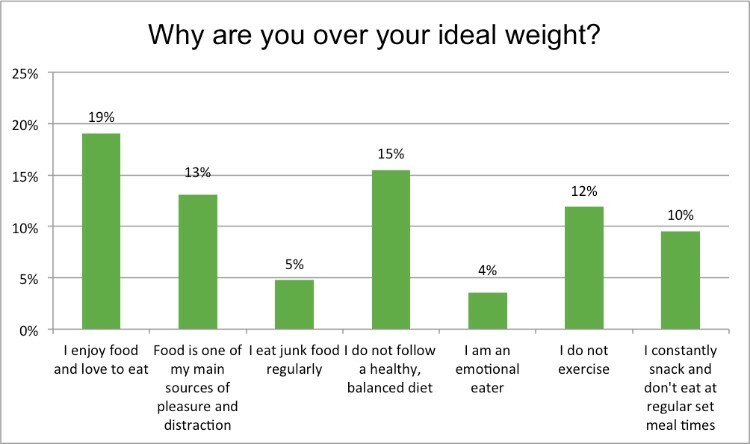 -What is interesting to note, is that 63% of respondents eat healthily, but then they binge eat which results in unhealthy weight gain when snacking the wrong types of food. 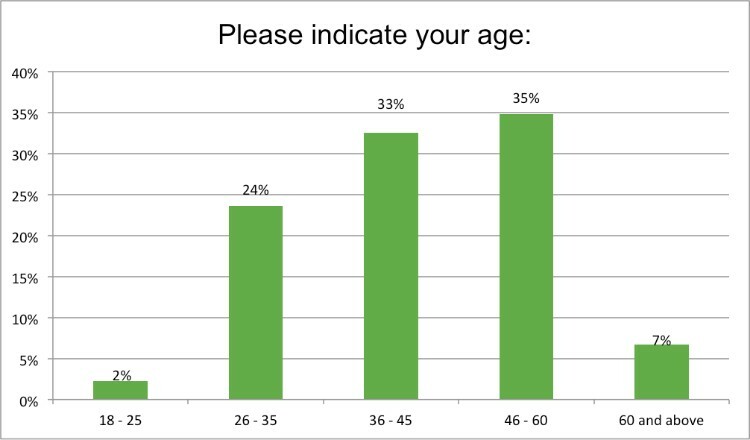 -39% indicated the tummy area being the body region where they carry excess fat, with 24% indicating Legs & thighs. 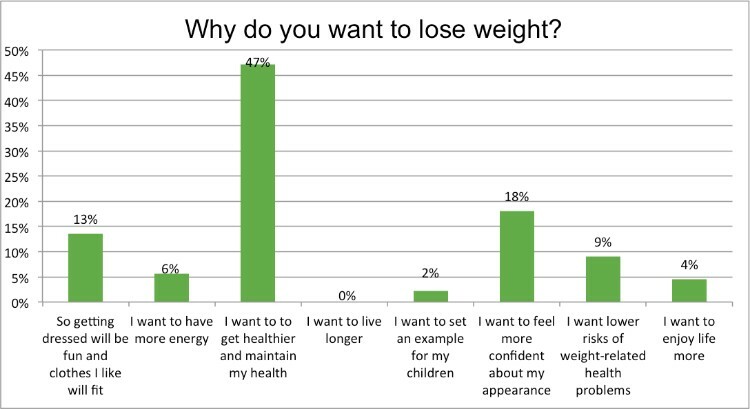 -More than half of the respondents indicated that the reason why they have been successful with weight loss in the past is that they had the right frame of mind. This is vital in reaching your weight-loss goals. If you think you can, you can! If you are ready to shed those extra kilo’s and regain your overall body health, why not contact a Health Renewal branch and let us do a full assessment and guide you to a healthier you!